Enter the ominous dungeons of Imperial Destiny to locate the hidden tombs on Wizard Slots the home of slots. 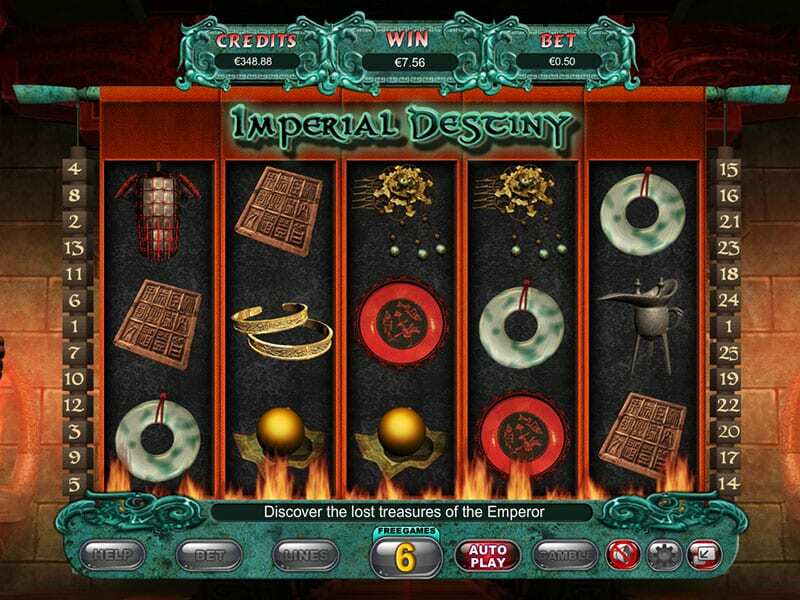 These gripping 5 reel online slots takes us back to 220 BC ancient China under dynasty rule. If you’re brave enough to take on this 25 payline then voyage inside, there’s no room for cowardice here. For more games, view online UK slots here! Now here’s a game for slot players who want some brand-new slots excitement, with this fantastic slot adventure, in which the narrative is driven by the Chinese Emperor of the ancient Chinese Qin Dynasty. We have massively enjoyed playing this Asian themed game and we are sure that if you have a go of Imperial Destiny, you will too! This is another excellent slots game from the same team who brought you the blockbusting Fluffy Favourites, and Shaman’s Dream. AS you would expect with a selection of games like that Eyecon have been very successful in the market and they have further underlined that success with the introduction of games like Temple Of Isis and Fluffy Too. So you already know that this will be a serious quality spin slot games with the most enjoyable gameplay experience. In this Asian themed slot, there is, as you’d expect an Asian style running throughout. This is a 5 reel, 3 row slot game with 25 individual pay lines. Some fantastic detailing of the symbols, superb graphics, and the deep red background set that Asian them off to a tee, and brings a look and feel that is different to most of the usual casino-style games you will see. We think its thoroughly enjoyable and distracting to play. By the way, we have compiled the best UK video slot games we think players want, feel free to check them out. In typical Eyecon fashion the game will attract players of a wide budget having a minimum bet form just one penny per spin, but for those with a bigger budget they can bet on up to 25 lines, giving that extra level of flexibility that everyone likes in their slot offerings. One good tip for you is to try and keep most of the lines active but to keep the bet amount low so that playing is normally with a lower wager and thus not comprising your chances of winning. With its Ancient Chinese theme you can expect something different to the norm – so the reel symbols are different from other games, however, three of any symbol will create a win. The Chinese Emperor in person represents the Wild symbol – so keep a very good eye out for him! The emperor can substitute for most of the other symbols on the reel so he can help you to increase your chances of picking up a winning combination. There are a couple of other bonus features, the most popular of which we believe will be the free spins mini-game as everyone loves a game with free spins, don’t they! To activate the free spins mini-game you need to be looking out for the Chinese warrior as he is your scatter, and If you can get three scatters the mini-game will start. Another bonus feature is the latest win gamble feature which has proven to be a huge amount of fun albeit it is a high risk strategy for a big reward, but, if you do lose, then you will lose your latest win. It’s great to win but infuriating when you don’t, so we’d only try that now and again to avoid frustration. 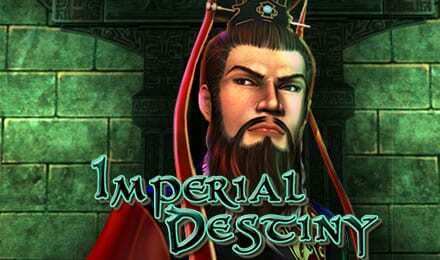 Imperial Destiny is an extremely enjoyable game that offers something different and unusual. We find the Asian theme very absorbing and attractive making the whole experience a typical Eyecon quality offering. A sure fire success. If you loved Imperial Destiny you should try Dragon Scrolls slots game.